OLED ink-jet developer Kateeva made several interesting updates regarding its OLED Ink Jet printing technologies. First up, the company formally introduced its inkjet equipment for large-area RGB OLED emitter deposition. Kateeva brands its new line as YIELDJet Explore and these systems are targeted for R&D lines and pilot lines. Kateeva offers two systems, the Explore, which is used for early development and small panels (up to 200 mm substrates) and the Explore Pro which can be used to produce panels up to 55" in size (this is still a development/pilot system, though). Kateeva announced that it has shipped four Explore systems in 2017, and it expects to ship three additional systems by Q2 2018. 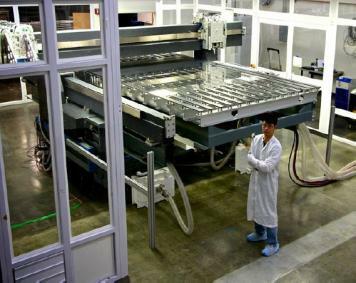 In September 2016 the company announced that it enjoys a "commanding lead" in the OLED thin-film encapsulation (TEF) market, securing the vast majority of available TFE orders. Kateeva's systems are used to deposit the organic TFE layers, while the in-organic ones are usually deposited using PeCVD or ALD systems. Kateeva also announced that it has acquired a large portfolio of over 600 patents, covering inkjet equipment and related processes used to manufacture OLEDs and other displays. The portfolio includes patents issued in the US, China, Japan, Korea and Taiwan. 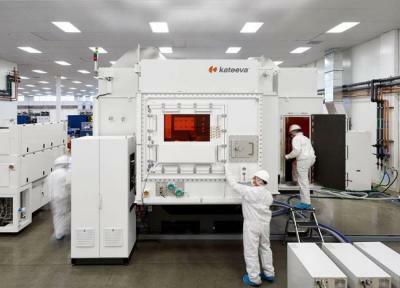 Kateeva did not disclose the seller of the patents, but it say that it has also received a license for the seller's remaining OLED and FPD manufacturing-related patents. It is great to see this progress from Kateeva, although it should be noted that OLED ink jet printing is taking longer than expected. In 2016 Kateeva's Korean-branch VP said that he expects Samsung Display to start producing OLED TVs using ink-jet technologies by 2018, but apparently in 2018 Kateeva will still offer pilot line equipment only. Kateeva raised $88 million in 2016, and is on the fore front of the OLED ink-jet equipment market. In June 2016 we posted an interview Kateeva's Chief Product Officer, Eli Vronsky. Eli explains the company's business and technology.